"We are at a moment in world affairs when the essential ideas that govern statecraft must change. For five centuries it has taken the resources of a state to destroy another state . . . This is no longer true, owing to advances in international telecommunications, rapid computation, and weapons of mass destruction. The change in statecraft that will accompany these developments will be as profound as any that the State has thus far undergone." 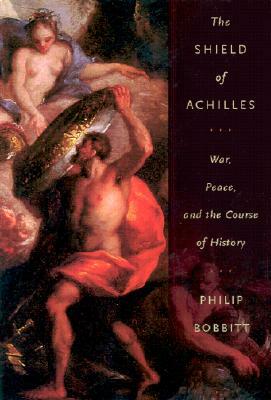 "The Shield of Achilles" is a classic inquiry into the nature of the State, its origin in war, and its drive for peace and legitimacy. Philip Bobbitt, a professor of constitutional law and a historian of nuclear strategy, has served in the White House, the Senate, the State Department, and the National Security Council in both Democratic and Republican administrations, and here he brings his formidable experience and analytical gifts to bear on our changing world. Many have observed that the nation-state is dying, yet others have noted that the power of the State has never been greater. Bobbitt reconciles this paradox and introduces the idea of the market-state, which is already replacing its predecessor. 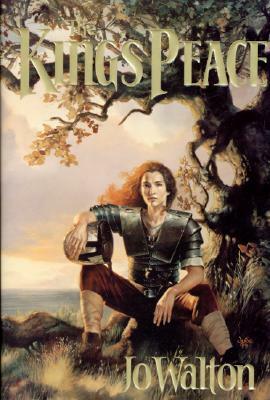 Along the way he treats such themes as the Long War (which began in 1914 and ended in 1990). He explains the relation of violence to legitimacy, and the role of key individuals in fates that are partially--but only partially--determined. This book anticipates the coalitional war against terrorism and lays out alternative futures for the world. Bobbitt shows how nations might avoid the great power confrontations that have a potential for limitless destruction, and he traces the origin and evolution of the State tosuch wars and the peace conferences that forged their outcomes into law, from Augsburg to Westphalia to Utrecht to Vienna to Versailles. The author paints a powerful portrait of the ever-changing interrelatedness of our world, and he uses his expertise in law and strategy to discern the paths that statehood will follow in the coming years and decades. Timely and perceptive, "The Shield of Achilles" will change the way we think about the world. 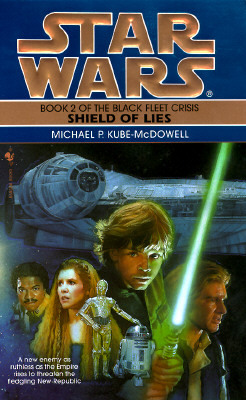 Title: "The Shield of Achilles: War, Peace, and the Course of History"
By: "Achilles, Burky, Baily, joanne Baxter, Benton, Dianne, Szilak, Renie Burghardt, Esselborn, Wyn"
"The King's Peace (The King's Peace, Book 1)"
"Shield of Lies (Star Wars: The Black Fleet Crisis, Book 2)"